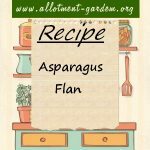 Recipes where asparagus is included in the ingredients or for an accompanyment. 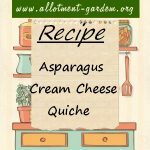 Asparagus Cream Cheese Quiche Recipe. 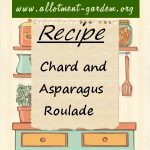 From the Grown in Britain Cookbook published by Dorling Kindersley with the Soil Association and used with permission. 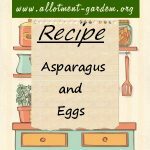 Recipe for Asparagus and Eggs. Serve immediately. Goes well on some hot, buttered toast. 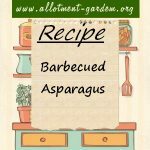 Recipe for Barbecued Asparagus. Great served with the Yogurt and Coriander and/or the Pesto Cream Dip from Granny Dumplin. 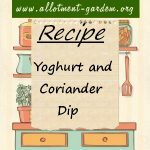 Recipe for Yoghurt and Coriander Dip (for Asparagus). 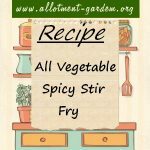 Serve with the Barbecued Asparagus dish - also from Granny Dumplin. Recipe for Pesto Cream Dip (for Asparagus. 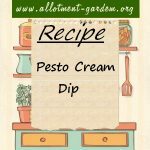 Pesto cream dip for the Barbecued Asparagus dish, also from Granny Dumplin. Pick and choose which dip to use. Recipe for Cream of Nettle and Asparagus Soup. Serve piping hot with ripped up chunks of crusty loaf with lashings of real butter.